Former Long Beach Diner owner Theodore Agelis has traded in burgers, Italian specialties and breakfast meals for lamb, pork and feta. 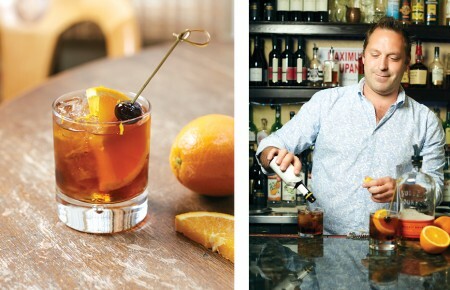 He opened Greek taverna Syrtaki in April putting an end to any competition with Laurel Diner across the street. “Our cuisine is authentic traditional Greek, and we serve the food exactly how they make it in Greece—everything is fresh and made to order,” he said, also mentioning the lack of Greek restaurants in the area. 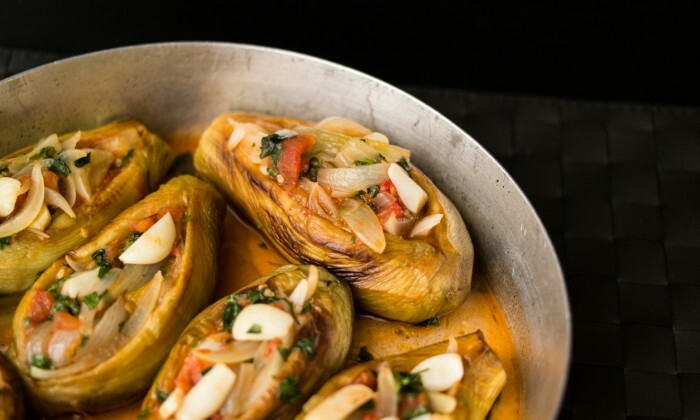 Main dishes range from eggplant imam (oven-stuffed eggplant with onions in red sauce) to briam (oven-mixed eggplant, zucchini, potato, onions and peppers, tomato sauce and feta) and lamb fricassee (lamb casserole with dill and lettuce in egg lemon sauce). There are also authentic stuffed leaves (green leaves filled with rice and chopped meat in egg lemon sauce), kleftiko (pork chunks cooked and wrapped in oven paper with vegetables, spices and feta) and gemista (oven-stuffed tomato and rice with herbs). Dessert lovers are in luck with Greek-style donuts served with honey and cinnamon (referred to as loukoumades), mosaic (cake from chocolate, cookies and butter) and samali (baked cake from semolina with ice cream). A few classic diner items like ice cream, milkshakes, egg creams and sodas remain, as well as the old booths. But the atmosphere of the nearly 100-seat spot screams Mediterranean with its black-and-white photos of famous Greek people like Telly Savalas and authentic music playing as diners eat. Syrtaki is located at 284 W Park Avenue in Long Beach.